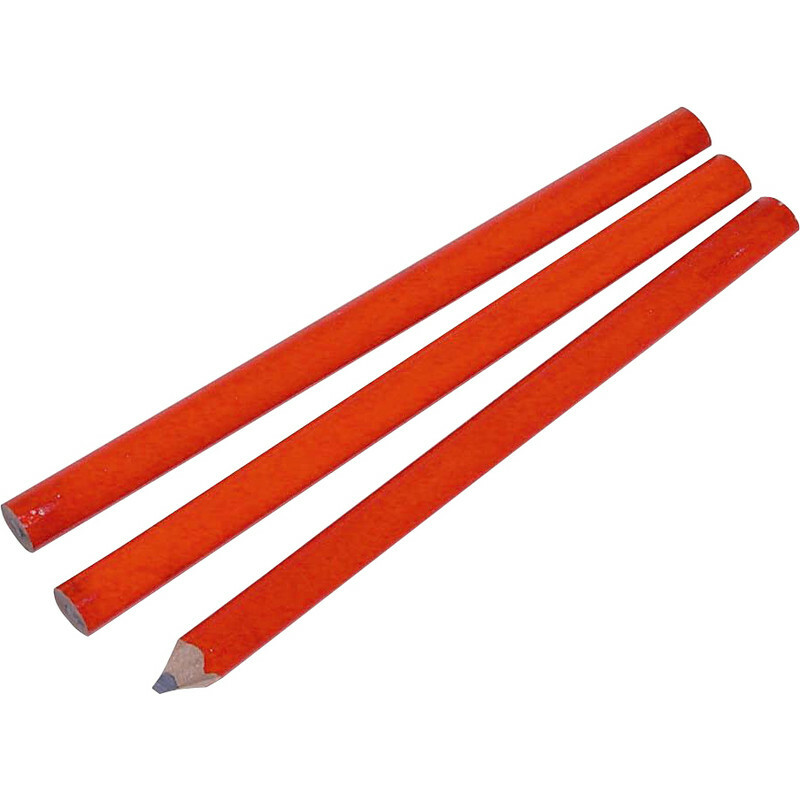 Soft lead oval section pencils for wood and other building materials. Carpenters Pencil Set (3 Piece) is rated 3.3 out of 5 by 3. Rated 4 out of 5 by F G HOB from Cheap and cheerful! Fed up with using normal pencils and these are a bargain! Rated 1 out of 5 by Nozzer from Maybe I was given something else The lead in these is much harder than others I have used; virtually invisible unless you press really hard but if you press really hard they score the wood and if marking a long straight line have a habit of following the grain so the line isn't straight.